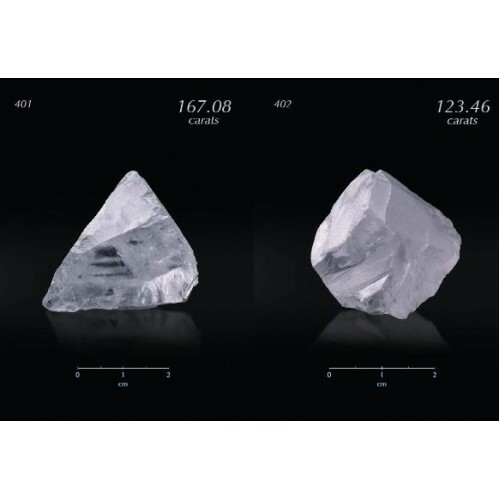 Lucara Diamond announced its outlook for 2019 and said; revenue is forecast to be between $170 million and $200 million! Karowe 2019 operating cash costs are forecast to be around $32.00 - $37.00 per tonne processed, significantly lower than in 2018, where the operating cash cost per tonne processed is expected to be between $38.00 and $42.00. The completion of a Feasibility Study for underground mine advancement is a key focus for this year, with a 2019 budget of $14.8 million to complete geotechnical and hydro geological drilling programs, economic and other studies which started in 2018. Eira Thomas, President & CEO commented: "Having stabilized and significantly improved our mining operations at Karowe in 2018, Lucara is now focused on optimizing the base business and pursuing a suite of high potential, organic growth opportunities. The completion of a feasibility study examining the potential for underground production and Life of Mine expansion at Karowe from 2026 until at least 2036 remains a top priority for 2019. In addition, we will continue to systematically ramp up diamond sales through Clara, our transformational, proprietary digital sales platform that successfully completed its first trial sale in December 2018." She further communicated that, "Our focus at Karowe in 2019 will be on driving operational efficiencies, increased productivity and cost control, and maximizing cash flow. The waste stripping bottleneck is now behind us and we expect stripping ratios to steadily improve towards the end of the calendar year, enabling improved access to high value, south lobe ore."
In 2019, the Company forecasts revenues between $170 million and $200 million, consistent with the forecast for 2018. These projections include "Specials" which are diamonds that are 10.8 carats and larger but exclude the sale of any truly unique diamonds such as the 1,109 carat Lesedi la Rona and the 813 carat Constellation. Specials are consistently recovered from the Karowe diamond mine and contribute a significant percentage of the Company's annual revenue. Diamonds recovered are expected to be between 300,000 carats and 330,000 carats and diamonds sold are expected to be between 300,000 carats and 320,000 carats.